The Stand Up Guys Junk Removal Crew cover all of Carrollwood and the surrounding cities. The Stand Up Guys offer the best value and customer service on junk removal around. 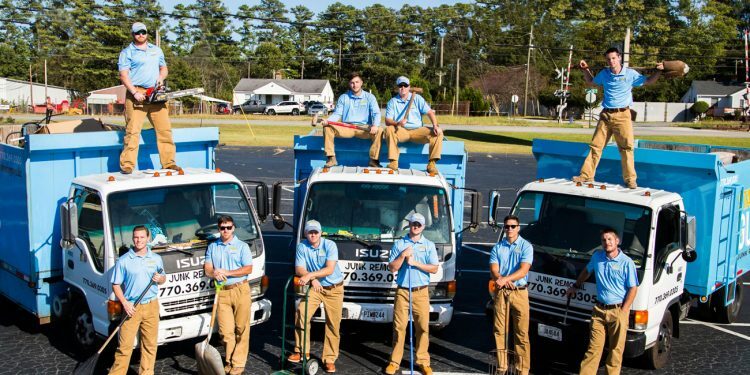 If you are looking to get some old junk removed, debris picked up, or an area of your home or office cleaned out, The Stand Up Guys are your number one choice. Carrollwood isn’t technically a city, it’s more of an unincorporated community in Hillsborough County. Carrollwood is still a decent sized place though with well over 33,000 residents in a small area. People from all over The Greater Tampa Bay Area know about Carrollwood and its reputation for being a great place to raise a family. Carrollwood has some of the best schools in the entire state, this is just one of the reason their are so many families in the area. Carrollwood is also a beautiful community as well, just like most of the surrounding areas. If you are moving from out of town into The Tampa Bay Area and are looking to place your family in a good neighborhood, Carrollwood is one of the safest bets around. The Stand Up Guys Junk Removal Crew have built a strong rapport with the people and businesses of Carrollwood due to the fact that we are vigorous in our quest for the best in customer service, value and giving back to the community. When you hire the Stand Up Guys to take care of removing your junk, your job is done. We take care of all the lifting, loading, cleaning and hauling so that you don’t have to lift a finger, and that is just scratching the surface of our wonderful customer service. The Stand Up Guys also donate and or recycle well over 60% of the items that we pick up from Carrollwood. This way you can feel reassured that your items will find a good home once they leave you with us. The Stand Up Guys are the best in Carrollwood Junk Removal. We service all of Carrollwood from our central location at 4707 W Gandy Blvd, Tampa, FL 33611.